It's funny when you have something on the brain and then serendipitously more appear right in front of you. I was collecting images of sugar flowers for a while now and then when this beautiful styled shot from jennaraecakes (photo @brittanymahood )—above appeared in my feed last night, it was time to break out a post. These edible pieces of art are simply stunning, and we if I was a bride, I'd be definitely seeking these bakers out. Check out a few of our insta finds below. Jan! 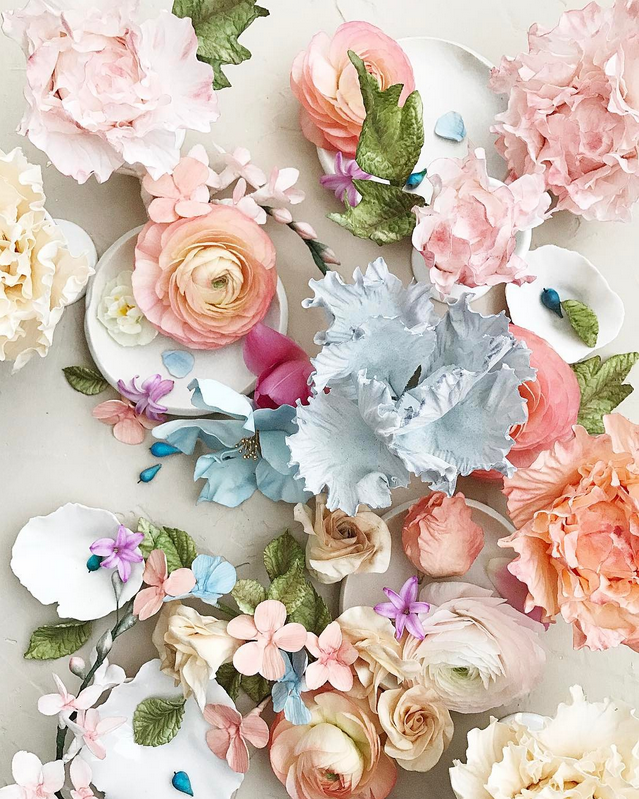 For sugar flowers, you must check out Maggie Austin Cake and Nine Cakes. Also, Eat Cake Be Merry makes the most amazing buttercream blooms ... I think you'd love all of them! Thanks Lyndsay - I'll check them out!